Cybercrime is not something that happens to “someone else” – it can happen to anyone. In fact, some statistics show that as many as 27% of Americans have been a victim of cybercrime. Crimes committed over the Internet are considered cybercrimes. One common type of cybercrime is identity theft where criminals steal personal information from a bank account or store credit card data base and make online purchases in the victim’s name. Another type of cybercrime involves hacking or using malicious software to steal sensitive information or data from computers and smartphones. Cyberattacks can happen to individuals as well as large companies. Some recent companies that have been attacked by cybercriminals include JP Morgan Chase, Home Depot, Target, Anthem, and the United States Postal Service. These have affected millions of people. With cybercrime attacks getting increasingly more targeted and sophisticated, it is important for everyone to take steps to minimize their risk of becoming a victim. 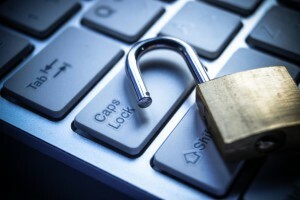 Here are 5 tips you can use to help protect yourself against cybercrime. Keep your computer secure – Activate your firewall which is your first line of defense against unauthorized access to your computer. Also be sure to install anti-virus/malware and anti-spyware software which prevent, detect, and remove malicious software, spyware programs, worms, trojans, adware, and viruses. Keep up with any software updates. Choose strong passwords – A good password is one that cannot be guessed easily. They typically have over eight characters and contain a combination of numbers, letters, and symbols (e.g., $, #, &), as well as a mix of upper- and lowercase letters. Use uncommon words. You can also turn a favorite phrase or song lyric into an acronym or deliberately misspell a word or phrase such as D0gzRgr8 (dogs are great). Use different passwords for different sites, and choose especially secure passwords for your online banking sites. Protect your personal information – Sharing personal information such as your name, phone number, address, or credit card information is inevitable if you are making online purchases. Do business with companies that have websites that begin with “https:” – the “s” stands for secure – and look for a “lock” icon on the status bar of your Internet browser. Enable privacy settings when accessing social media sites and do not overshare information about yourself online. Cybercriminals use that type of personal information to answer “challenge” questions on online banking and other websites. Fight phishing – Cybercriminals often using “phishing” as a way to scam people into sharing personal information. They send fraudulent emails or set up fake websites that look like legitimate businesses. To avoid phishing scams, never respond to spam, communicate personal information only through a phone or a secure website, and do not click on links or download files from unknown senders. Verify that a website is the official website before sharing any personal information. Watch your wireless network – Properly secure your Wi-Fi networks at home so that cybercriminals can’t hack into your computers. Here are tips on how to do this. Even by taking all these precautions, you can still be a victim of cybercrime. If you believe you have been a target of cybercrime, you should contact your local law enforcement agency, as well as the Internet Crime Complaint Center (IC3). You can also visit the National White Collar Crime Center website for more resources and information. This non-profit organization is dedicated to supporting law enforcement in the prevention, investigation, and prosecution of economic and high-tech crimes. In addition, StaySafeOnline.org has created a brochure filled with tips and advice for victims of cybercrime. You can find it here.